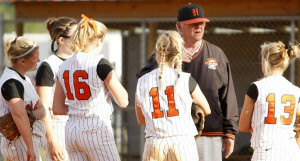 The Hoover High School Lady Bucs Softball Program began 30 years in the spring of 1987 when it was at Berry High School. 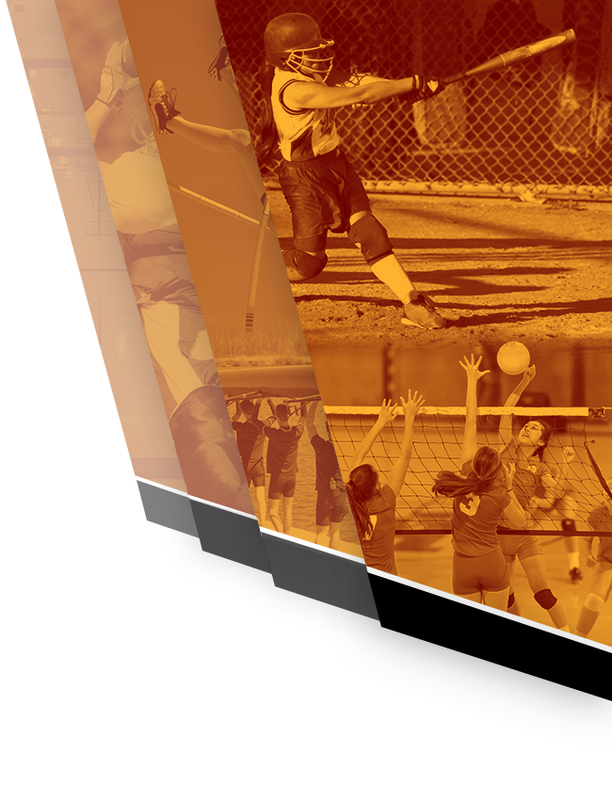 There had been a lot of hard work to gain acceptance for high school girls sports in the state of Alabama. The city of Hoover had the benefit of a strong park league for girls’ softball for years. However, there was still the struggle of fast pitch opposed to slow pitch in many schools across the state & nation at the time. Clifford “Doc” Hodges was the first head coach in 1987-1989 & he was assisted by Chuck Cuppett & Otis Bibb that spring. There were many fathers interested in helping their daughters improve in softball just like men would do in helping their sons in baseball. This was only true in certain areas across the state. However, the season of 1987 saw all games as slow pitch. Year by year, though, fast pitch was slowly becoming integrated until the state finally mandated all games be fast pitch which started in 1995. It needs to said that Doc was also the Bucs pitching coach for many years. The following years are lists of Lady Buc varsity rosters as I gained from research. I had to condense facts immensely because there were many interesting stats relating to pitching, hitting, awards, tournaments won, scholarships, etc. which basically make up a book. I do apologize for any omissions or errors throughout. I hope the team’s season record, a few noted accomplishments & the names of the coaches & players will suffice. 1987 (19-7). Coaches: Cliff “Doc” Hodges; Chuck Cuppett; Otis Bibb. Sponsor: Bob Finley. Players: Captain Jan Johnson; Amy Bibb; Daphne Carr; Heather Cribbs; Karin Cuppett; Lisa Cunningham; Amy Henderson; Robin Hunter; Catherine Loveless; Neely Miller; Kelly O’Neil; Susanne Stanton; Janet Underwood; Jennie Wedell; Laura Wright. 1988 (27-4) Coaches: Doc Hodges; Charles Carr; Chuck Cuppett; Otis Bibb; Sponsor: Bob Finley. Players: Captain Jennie Wedell; Shelly Allen; Rachel Beck; Amy Bibb; Kim Carter; Lisa Cunningham; Karin Cuppett; Tammy Cuppett; Amy Hargrave; Robin Hunter; Leigh Jeter; Catherine Loveless; Kara McClendon; Neely Miller; Nikki Sellers; Shannon Vaughn; Laura Wright. 1989 (25-9) Coaches: Doc Hodges; Jennifer Johnson; Chuck Cuppett. Sponsor: Bob Finley. Players: Captain Shannon Vaughn; Rachel Beck; Catherine Cox; Karin Cuppett; Betsy Giles; Tracie Hawkins; Kristen Howell; Leigh Jeter; Kara McClendon; Neely Miller; Julie Quigley; Nikki Sellers; Jamie Turquitt. 1990 (41-6) Section 5 Champions. Head Coach Jim Brown; Doc Hodges; Chuck Cuppett; Richard McClendon. Players: Captain Julie Quigley; Leigh Anne Bounds; Kristen Cowan; Karin Cuppett; Verna Emerson; Betsy Giles; Tracie Hawkins; Amy Hecklinski; Kristen Howell; Leigh Jeter; Jan Keffer; Amy Lynch; Kara McClendon; Kim Newell; Sarah Rafferty; Brooke Rawson; Tracey Salvage; Nikki Sellers; Jamie Turquitt. 1991 (40-15) State Runner-Up; Section 5 Champions. Coach Jim Brown; Doc Hodges; Richard McClendon. Players: Captain Kristen Howell; Amy Bellanca; Leigh Anne Bounds; Melinda Bounds; Kristeb Cowan; Amy Cunningham; Verna Emerson; Sara Gassett; Betsy Giles; Tracie Hawkins; Amy Hecklinski; Leigh Jeter; Jan Keffer; Amy Lynch; Cynthia Propst; Sarah Rafferty; Brooke Rawson; Eryn Roquet; Tracey Salvage; Kelly Schnute; Libby Schrum; Melanie Unkenholz. 1992 (55-9) Sub-State & Area Champions. Jim Brown; Doc Hodges; Jennifer Johnson. Players: Captain Amy Lynch; Amy Bellanca; Leigh Anne Bounds; Melinda Bounds; Amy Cunningham; Leah Dickinson; Jennifer Gilbert; Betsy Giles; Tracie Hawkins; Amy Hecklinski; Melanie Jones; Jan Keffer; Amy Menchini; Mandy Nuss; Summer Powell; Cynthia Propst; Sarah Rafferty; Brandi Rawson; Eryn Roquet; Kelly Schnute; Libby Schrum; Melanie Unkenholz. 1993 (50-11) Section & Sub-State Champions. Coach Jim Brown; Doc Hodges; Flynn Gilden. Players: Captain Sarah Rafferty; Amy Bellanca; Melinda Bounds; Amy Cunningham; Leah Dickinson; Laura Glasscock; Amanda Haugh; Amy Hecklinski; Heather Henderson; Melanie Jones; Amy Menchini; Jamie Nolen; Mandy Nuss; Summer Powell; Brandi Rawson; Eryn Roquet; Shelby Reed; Libby Schrum; Sabrina Shumate; Meredith Williams; Melanie Unkenholz. 1994 (51-16) Area & Sub-State Champions. Coaches: Jim Brown; Doc Hodges; Andy Ryan. Players: Captain Libby Schrum; Christina Albanese; Amy Bellanca; Melinda Bounds; Casey Campbell; Amy Cunningham; Lauren Davis; Laura Glasscock; Amanda Haugh; Leigh Ann Lantrip; Ashley Littleton; Jada McLeroy; Holly Nobinger; Jamie Nolen; Summer Powell; Shelby Reed; Erika Shinholster; Sabrina Shumate; Melanie Unkenholz; Mandy Weathers; Meredith Williams. 1995 (56-14) Section Champions. 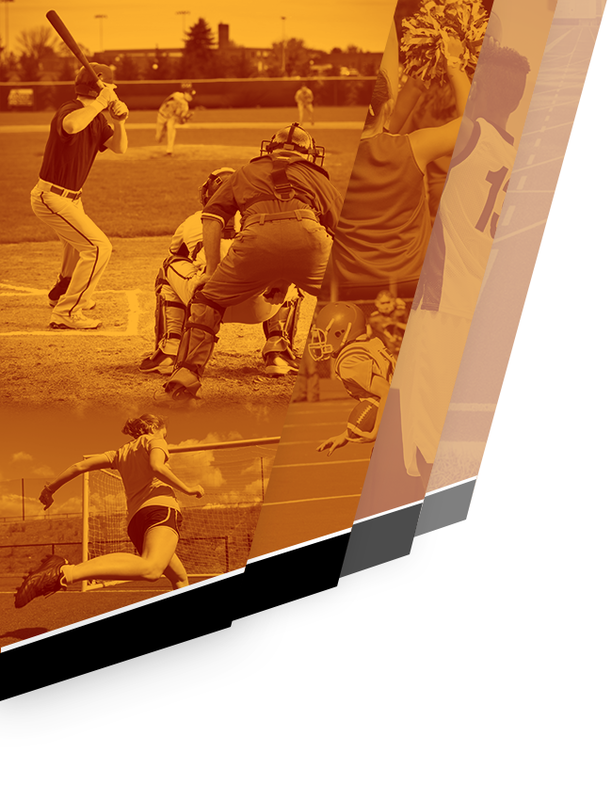 *Fast-Pitch for all games as sanctioned by the AHSAA. First year at Hoover High campus on their own field (20 years later field was named for Jim Brown). Coaches: Jim Brown; Doc Hodges; Dave McCrary. Players: Captain Summer Powell; Jenny Britain; Tatum Brook; Casey Campbell; Lauren Davis; Laura Glasscock; Amanda Haugh; Elizabeth Hudson; Leigh Anne Lantrip; Autumn Little; Janna Magette; Heather Mineau; Amanda Moore; Holly Nobinger; Kellie Persson; Brandi Rawson; Erika Shinholster; Sabrina Shumate; Kim Unkenholz; Mandy Weathers; Meredith Williams. 1996 (57-7) State Runner-Up & Sub-State Champions. Coaches: Jim Brown; Doc Hodges; Dave McCrary. Players: Captain Amanda Haugh; Breanne Arnett; Katie Bond; Jenny Britain; Casey Campbell; Lauren Davis; Kerri Foster; Laura Glasscock; Kristi Houck; Elizabeth Hudson; Leigh Anne Lantrip; Autumn Little; Janna Magette; Heather Mineau; Kellie Persson; Rebecca Rainer; Kim Unkenholz; Mandy Weathers. 1997 (61-1) STATE CHAMPIONS; Area & Sub-State Champions. Coaches: Jim Brown; Doc Hodges; Wayne Sheets. Players: Captain Leigh Anne Lantrip; Breanne Arnett; Michelle Barnard; Katie Bond; Jenny Britain; Casey Campbell; Lauren Davis; Kerri Foster; Kristi Houck; Elizabeth Hudson; Erin Landry; Autumn Little; Janna Magette; Leigh Papisan; Kellie Persson; Rebecca Rainer; Kim Unkenholz; Mandy Weathers. 1998 (61-9) STATE CHAMPIONS; Section & Sub-State Champions. Coaches: Jim Brown; Doc Hodges; Wayne Sheets. Players: Captain Kim Unkenholz; Breanne Arnettl Evan Arnett; Michelle Barnard; Jenny Boyd; Millie Brannon; Jenny Britain; Leigh Daigle; Kerri Foster; Lynsey Gentry; Ann Hecklinski; Ashley Hollis; Elizabeth Hudson; Heather Jamison; Erin Landry; Autumn Little; Janna Magette; Ashley Mason; Leigh Papisan; Leah Parker; Rebecca Rainer; Meredith Tanner; Kim Unkenholz. 1999 (49-14) Coaches: Jim Brown; Doc Hodges; Wayne Sheets. Players: Captain Michelle Barnard; Lauren Furlong; Evan Arnett; Meredith Tanner; Ann Hecklinski; Emily Brown; Lynsey Gentry; Millie Brannon; Erin Landry; Kerri Foster; Amy Sutton; Jenny Boyd; Whitney Vines; Laine Harcourt; Maleah Dunham; Ashley Mason; Leigh Papisan. 2000 (58-8) Area & Sub-State Champions. Coaches: Jim Brown; Doc Hodges; Amber Lewis; Jason Lewis. Players: Captains Jenny Boyd & Meredith Tanner; Katie Houck; Amy Sutton; Lauren Furlong; Jennie Honeycutt; Ann Hecklinski; Lauren Blanton; Lynsey Gentry; Rachel Thompson; Amy Daigle; Lauren Gloor; Rachel Fowler; Katie Troncale; Laine Harcourt; Maleah Dunham; Caroline Hudson. 2001 (60-6) STATE CHAMPIONS; Area & Sub-State Champions. 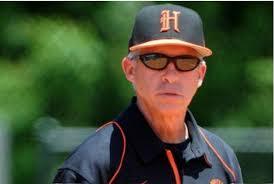 Coaches: Jim Brown (named National Coach of the Year); Doc Hodges; Amber Lewis; Jason Lewis. Players: Captains Jenny Boyd & Meredith Tanner; Brandi Pearson; Alyson Elliott; Melissa Miller; Jordan Gann; Ann Hecklinski; Lauren Blanton; Lynsey Gentry; Maria Priola; Amy Daigle; Lauren Gloor; Rachel Thompson; Kendra Reynolds; Katie Troncale; Laine Harcourt; Miranda Smoot. 2002 (53-10) STATE CHAMPIONS; Section & Sub-State Champions. Coaches: Jim Brown’ Doc Hodges; Ashley McIntyre. Players: Captains Laine Harcourt; Lauren Gloor & Rachel Thompson; Brandi Pearson; Amanda Shepherd; Melissa Miller; Courtney Crocker; Lauren Stamba; Savannah Lucas; Katie Troncale; Ginny White; Jordan Gann; Ashley Shepherd; Kendra Reynolds; Kelsey Arnett; Sara Keeney; Abby Campbell; Rachel Herring; Kelli Gardiner. 2003 (43-19) Sub-State Champions. Coaches: Jim Brown; Doc Hodges; Shawn Maze. Players: Captain Lauren Gloor; Brandi Pearson; Amanda Shepherd; Melissa Miller; Courtney Crocker; A.J. Voss; Katie Troncale; Abby Campbell; Jordan Gann; Ashley Shepherd; Rachel Thompson; Ashley Smith; Kelsey Arnett; Lauren Stamba; Sara Keeney; Rachel Herring; Kelli Gardiner. 2004 (50-17) STATE CHAMPIONS; Region & Sub-State Champions. Coaches: Jim Brown; Doc Hodges; Nicole Cagle; Myra Miles. Players: Captain Rachel Herring; Brandi Pearson; Patricia Sanford; Courtney Crocker; A.J. Voss; Krista Henry; Jordan Gann; Abby Campbell; Ashley Smith; Jeanne Morgan; Amie Proctor; Jessie Lupardus; Sara Keeney; Meredith Tucker. 2005 (59-11) Area & Sub-State Champions. Coaches: Jim Brown; Doc Hodges; Katie Ware. Players: Captain Rachel Herring; Abby Campbell; Chrisavi Grimes; Erica Sisson; Maegan Hornsby; Nichole Linton; A.J. Voss; Lizzie Henretta; Brittany Weidenbeck; Hayden Gann; Amie Proctor; Ashley Smith; Jeanne Morgan; Maggie Ballard; Jessie Lupardus; Sara Keeney. 2006 (51-18) Region & Sub-State Champions. Coaches: Jim Brown; Doc Hodges; Katie Ware. Players: Captain Whitney Salter; Chrisavi Grimes; Erica Sisson; Maegan Hornsby; Ashley Jeter; A.J. Voss; Jessica Pennington; Brittany Weidenback; Hayden Gann; Amie Proctor; Maggie Ballard; Christie Eyer; Jessie Lupardus; Tori Manzella; Dallas Dixon; Nichole Linton. 2007 (58-16) Sub-State Champions & 1000th All-Time Win in program history-21 seasons. Coaches: Jim Brown; Doc Hodges; Myra Miles. Players: Captain Amie Proctor; Jessie Lupardus-became all time school leader in pitching wins of 129 & 3rd time All-State); Dallas Dixon; Erica Sisson; Maegan Hornsby; Ashley Jeter; Courtney Taylor; Ally Silva; Brittany Weidenback; Katie Davis; Hayden Gann; Kelsey Reynolds; Elene Weaver; Brittni Bolton; Christie Eyer; Nicole Cornett; Jennifer Hamner. 2008 (45-14) Coaches: Jim Brown; Doc Hodges; Wayne Sheets. Players: Captain Erica Sisson; Dallas Dixon; Maegan Hornsby; Ashley Jeter; Sarah Redmond; Ally Silva; Courtney Taylor; Hayden Gann; Madison Dickey; Kristyn Richards; Brittni Bolton; Elene Weaver; Christie Eyer; Jennifer Hamner; Kaley Murchland. 2009 (37-16) Coaches: Jim Brown; Doc Hodges; Wayne Sheets; Beth Uhlman. Players: Captain Dallas Dixon; Anna Odom; Kaley Murchland; Taylor Holmes; Courtney Taylor; Ally Silva; Gabby Armstrong; Jennifer Hamner; Madison Dickey; Sarah Redmond; Kristyn Richards; Brittini Bolton; Elene Weaver; Elissa Kelly; Marcy Harper. 2010 (49-11) Region & Area Champions. Coaches: Jim Brown; Beth Uhlman; Jennifer Hogan; Abby Campbell; Terah Rosenthal. Players: Captain Elene Weaver; Elissa Kelly; Madeline Walley; Kaley Murchland; Taylor Holmes; Daniele Williams; Madison Dickey; Gabby Armstrong; Kasey Weaver; Jennifer Hamner; Andee Frier; Kristyn Richards; Brittni Bolton; Marcy Harper. 2011 (43-25) State Runner-Up; Region Champions. Coaches: Jim Brown; Beth Uhlman; Abby Campbell; Patricia Sanford. Players: Captain Madison Dickey; Abbey Walker; Madeline Walley; Kalee Sparks; Jessica Hamner; Mary Catherine Nichols; Madelyn Shelton; Kasey Weaver; Carly Sewell; Ashley Harris; Elissa Kelly; Morgan Pate; Jamie Baxley; Emma Milligan; Sarah Shaneyfelt; Ivey Underwood; Emily Turner; Darien Brown; Marcy Harper. 2012 (30-19) Coaches: Jim Brown; Abby Mitchell; Kristi McWhirter; Amanda Jordan; Mike Wilson; Allison Collins. Players: Captain Marcy Harper (3rd time All-State became 2nd all time leading pitcher wins-124); Abbey Walker; Madeline Walley; Kalee Sparks; Jessica Hamner; Ivy Underwood; Kasey Weaver; Mary Catherine Nichols; Carly Sewell; Ashley Harris; Morgan Pate; Emily Turner; Emma Milligan; Darien Brown. 2013 (27-27) Coaches: Jim Brown; Amanda Jordan; Kristi McWhirter. Players: Captain Darien Brown; Abbey Walker; Madeline Walley; Kalee Sparks; Jenna Olszewski; Emma Milligan; Mary Catherine Nichols; Shelby Lowery; Paulina Nations; Carly Sewell; Ashley Harris’ Morgan Pate; Caroline Hart; Katie Manak; Emily Turner; Hannah Nicholson; Abby Tissier; Kynadi Tipler; Abby Praytor. 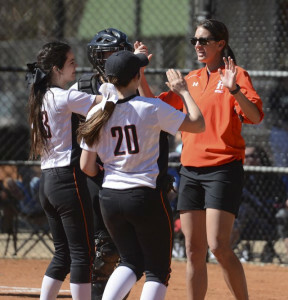 2014 (25-19) Coaches: Head Erin Wright & Amanda Jordan. Players: Captains Mary Catherine Nichols & Kalee Sparks; Carley Sewell; Emily Turner; Abigail Solomon; Mary Manak; Shelby Lowery; Kendall Vickery; Morgan Pate; Kaley Anthony; Kynad Tipler; Jenna Olszewski; Abby Grace Praytor; Abby Tissier. 2015 (23-22) Coaches: Head-Lexi Shrout; Logan Foulks & Trey Matlock. Players: Captains Mary Catherine Nichols, Morgan Pate & Shelby Lowery; Kaley Anthony; Caroline Hart; Hannah Nicholson; Leslie Norris; Willa Green; Abby Tissier; Abby Solomon; Katie Jalbert; Kendall Vickery; Abby Grace Praytor; Caroline Nichols; Haley Malone; Mackenzie June; Mallory Mus; Paige Williamson. 2016 (44-17-1) Coaches: Head-Lexi Shrout; Kellie Eubanks; Allison Grant; Trey Matlockl Carson Haley. Players: Captains Shelby Lowery, Abby Tissier & Caroline Hart; Abby Grace Praytor; Jamie Gregg; Sydney Chandler; Kaley Anthony; Caroline Nichols; Madeline Harris; Willa Green; Katie Jalbert; Leslie Norris; Morgan Jalbert; Hannah Nicholson; Katelyn Richard; Mallory Mus; Haley Green; Mackenzie June. 2017 (pending) Coaches: Head-Lexi Shrout; Kellie Eubanks; Allison Grant; Trey Matlock; Carson haley. Players: Captains Abby Tissier, Carline Hart & Willa Green; Kaley Anthony; Jamie Gregg; Madeline Harris; Paige Williamson; Fran Fernandez; Mallory Mus; Hannah Minor; Syndney Chandler; Leslie Norris; Brynn Parker; Hannah Presley. The Lady Bucs set the standard of success 30 years ago which continued every year.